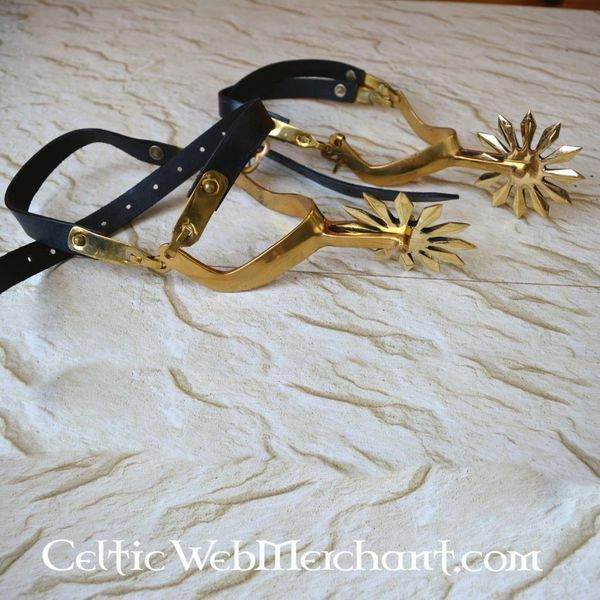 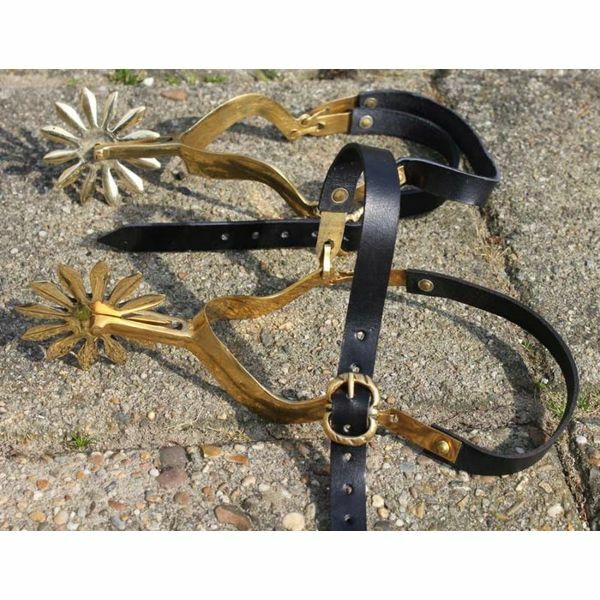 This pair of spurs is a replica of gothic knight spurs, the original pair is part of the collection of Churburg Castle on the borders of Austria and Italy. 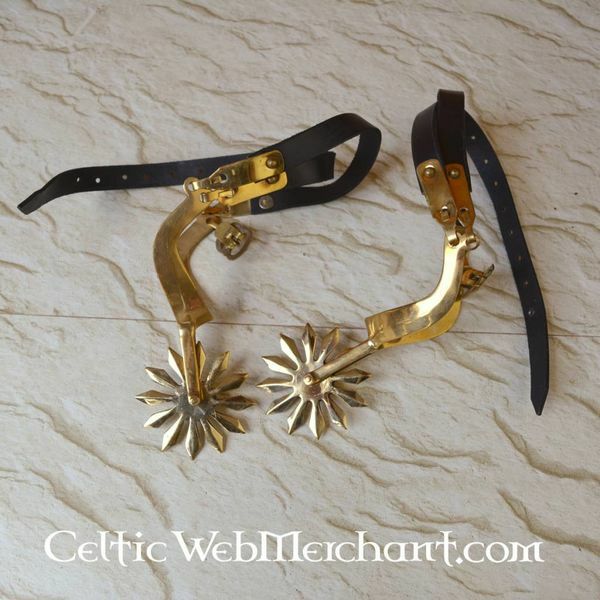 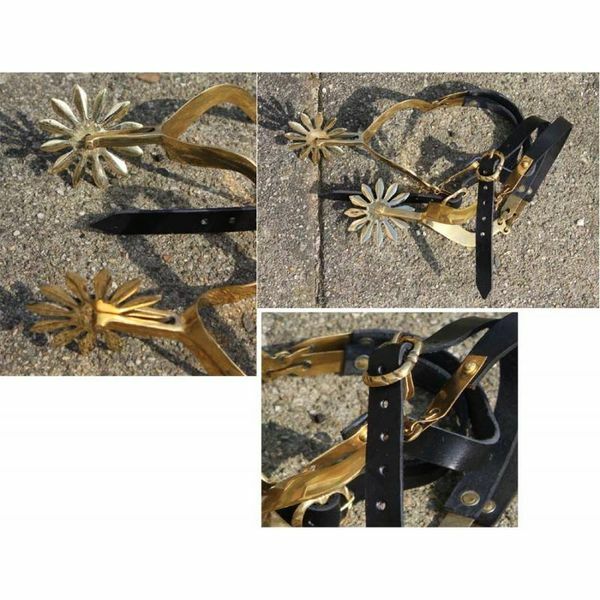 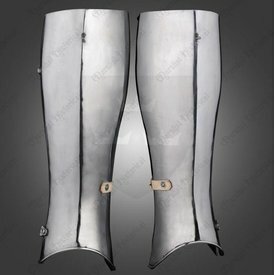 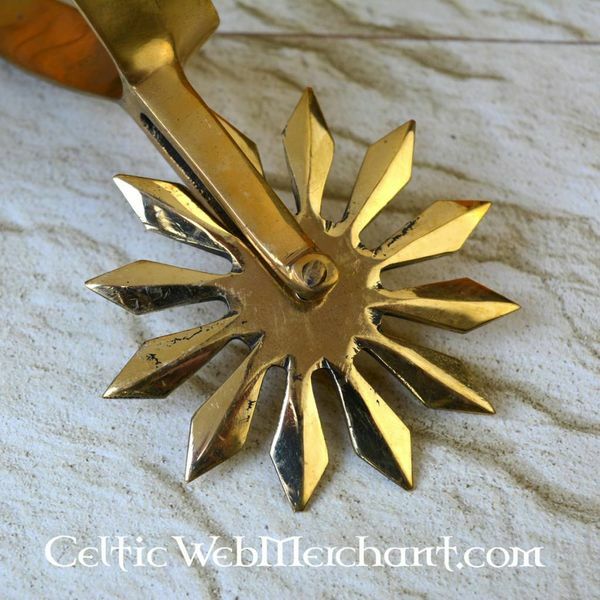 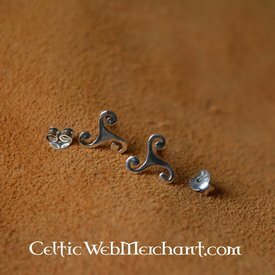 They are made of brass and have leather straps for fastening it to the shoe or boot. 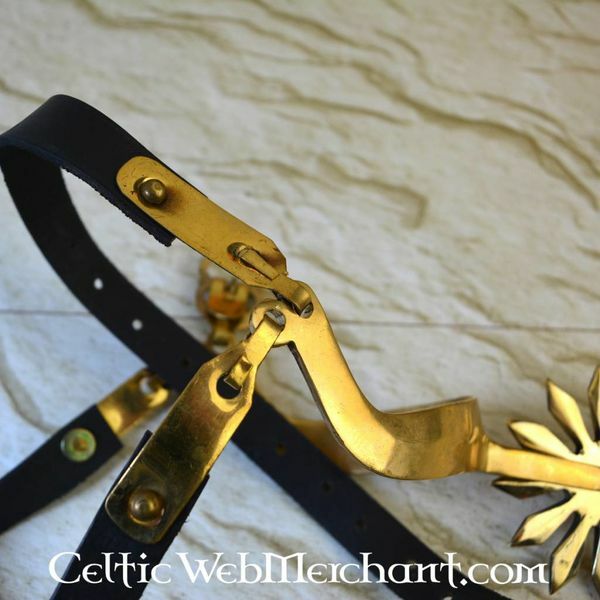 The straps are provided with a brass buckle.